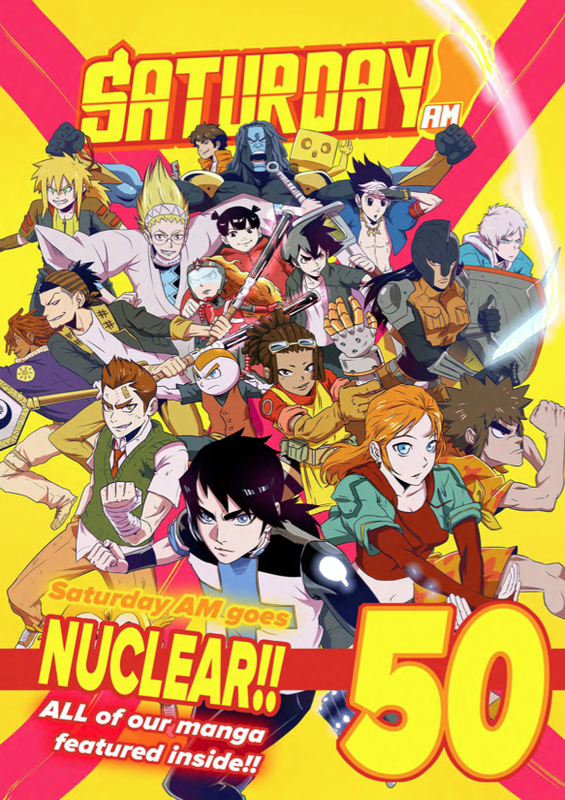 Saturday AM #37 begins our MARCH TO ISSUE #50!! If you belong to our PILOT Manga group then we've selected some of the strongest, new talent to emerge from around the world and are giving them their shot to SHOWCASE THEIR SKILLS and to IMPRESS YOU! YOU GET TO HELP DETERMINE their options. Do they get PUBLISHED within Saturday PLUS or on our site? 3. Tell friends to get them to vote and learn IF they also support your creator pick! 4. Prepare for our next issue (#38) which hits within 7 days!!!???!! !